Both indices ended the week higher for the first time in six weeks. 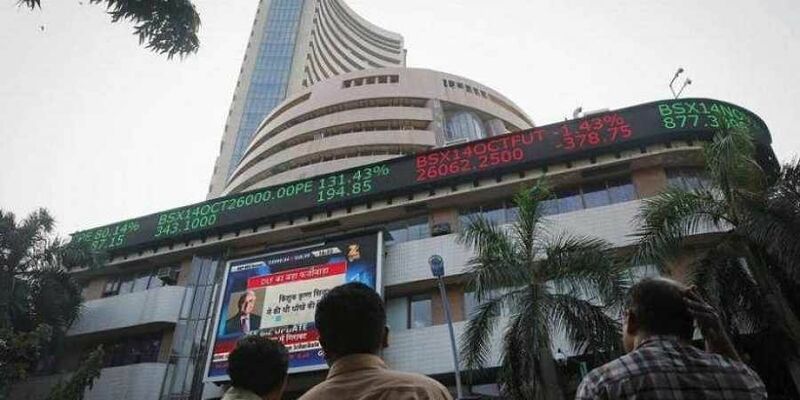 MUMBAI: Driven by fall in crude prices and the recovery in rupee, the BSE Sensex Friday posted its biggest single-day gain in 19 months, soaring over 700 points as global markets rebounded after two straight sessions of losses. The rupee strengthened 53 paise to 73.59 (intra-day) against the US dollar in the forex market. During the period the Sensex climbed 366.59 points and Nifty rose 156.05 points. It later gave up some of the gains, but still ended notably higher by 732.43 points, or 2.15 per cent, at 34,733.58. The index posted its biggest single-day gain since March 2017. The broader Nifty ended the week at 10,472.50, up 237.85 points, or 2.32 per cent. It touched a high of 10,492.45 points in day trade. Market has been deeply oversold, and investors were additionally buoyed by news that inflows into equity. Foreign investor (FI) selling was offset by domestic buyers, he added. Oil prices, after easing near 3 per cent in the previous two days, gained marginally Friday. Brent was up 1.16 per cent to USD 81.19 a barrel.